12 January 2011: The US capital Washington DC has been named as America’s most literate city. 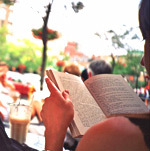 A study by Dr Jack Miller, President of the Central Connecticut State University, measures culture and reading resources in America’s largest cities. This study focuses on six key indicators of literacy: newspaper circulation, number of bookstores, library resources, periodical publishing resources, educational attainment, and Internet resources and examines cities with populations of more than 250,000. Looking back over eight years of the America’s Most Literate Cities rankings and focusing on the data that drive the rankings, President Miller sees worrisome concerns. The decline of newspaper readership and the continuing erosion of book purchasing in America’s largest cities clearly represent concerns for two of the US’s most venerable literate practices. “The decline in newspaper readership is stark,” Dr. Miller says. “At the beginning of this survey, in 2003, newspapers in America’s larger cities had a weekday circulation equivalent to 55 per cent of the population of the cities; Sunday circulation was 75 per cent . Now, on average, less than one third read a weekday paper and less than half read a Sunday paper.” Some of the largest declines occurred in Atlanta, Boston, Miami, and San Francisco. As for the belief that online newspapers are the cause of the decline or the demise of print newspapers, that conventional wisdom appears largely overstated: according to a study published in Newspaper Research Journal in 2009, the size of a newspaper’s online readership is barely a quarter of its print readership. And even the recent Pew report showing that Americans are spending more time following the news notes that the per cent age of Americans reading print newspapers (31 per cent ) and viewing news online (34 per cent ) are roughly the same. These trends raise real concerns about Americans’ literate behaviors. Miller’s survey also demonstrates that even an improving index of socio-cultural health should be a matter of growing national concern. Of the data he has tracked over the life of the rankings, Miller finds that the one bulwark sustaining American literacy is the public library. 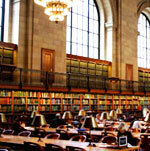 “In terms of accessibility and usability, libraries remain vibrant. Even in these economically embattled times, many cities appear to be providing their citizens with rich resources for developing and maintaining literate behaviors,” Miller notes. The across-the-board-average for library branches per person remains virtually unchanged. Circulation has actually increased from 6.8 to 7.17 per person during that time. Some cities, most notably St. Paul, Boston, Cincinnati, and Cleveland, increased in both number of branches and circulation, posting numbers three to five times higher than such other cities as Detroit, San Antonio, and Santa Ana.